Feline IBD – is commercial dry cat food the main cause? See Cat Food Recipe. Feline IBD stands for Cat Irritable Bowel Disease. It is not uncommon, hence this article. In fact, incidences of this disease have increased over the past 30 years1. It is quite a descriptive title for a disease because the bowel is indeed irritated. It is an immune reaction disease (an allergic reaction). The bowel in this instance means the small and large intestines and the stomach (sometimes). There are three bowel diseases in cats. In each type a different “inflammatory cell” builds up in the mucous lining of the intestine. Biopsies (the removal & examination of a sample of the diseased tissue to be analysed to formulate a diagnosis) determine which type of IBD it is (see treatments, below for more). Uncertain. There are differing opinions. Through an immune system response over the long term, bacteria or food proteins cause the cat to produce antibodies that attack thecells of the cat’s intestine3 Food is the most likely cause (source of the allergic reaction). The surface of the interior of the intestine recognises something in the food as “foreign invaders” to be attacked4. Diarrhea is caused by fluids being secreted into the intestine. Food passes through the intestine too quickly causing malabsorption of nutrients. The intestine can become swollen in time (visible on X rays). [Conventional treatment is] often not very successful5. Treatable but not often cured6. Conventional treatment includes administering immune system suppressants. Hypoallergenic food is used to find out if the food is the cause. Hypoallergenic food can be used long term too. It is not necessarily very effective. Commercial hypoallergenic cat food (usually dry food) contains unnatural ingredients that restrict the usefulness of the diet7as does non-hypoallergenic cat food. 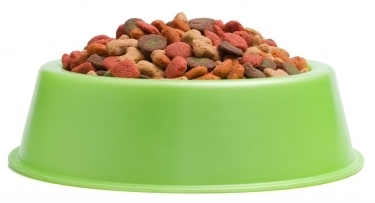 Modern more advanced hypoallergenic cat food is little better because it is essentially unnatural8. Wet hypoallergenic cat food can be successful (“helpful”) in mild feline IBD. It is argued that some cats are more sensitive to the overprocessed nature of commercial cat food and the dry variety is worse than the wet. Recommended by Dr. Hodgkins: Raw Food Diet. This is going back to basics. It does not mean simply feeding raw meat. Supplements are essential. This page discusses it in full and provides recipes. For IBD that is cause by Eosinophilic Enterocolitis: Hypoallergenic diet (dry food not criticised). Where there is colitis (inflammation disease of the large bowel) fiber may be added. If caused by Lymphocytic-Plasmacytic Enterocolitis (most common feline IBD) – associated with food allergy, bacterial overgrowth and giardiasis (a parasitic infection): Antibiotic (metronidazole – USA) for the bacteria and giardiasis. Immunosuppressant drugs (prednisone). If it is the third type of feline IBD – Granulomatous Enterititis (rare): Corticosteroids and immunosuppressant drugs are used as treatments. Possibly metronidazole – USA. Have a boy with IBD right now. Am treating him with Atarax to reduce peristalsis in the intestinal tract, probiotics, and Flagyl since the most common cause of IBD is Giardia. So many people can’t deal with this syndrome, ie. the blasting diarrhea, crying out when expelling, etc. And, the cleanup… who can’t deal with that? Someone who doesn’t really care about their cat. Unbelievably, some people put their cats down because of this syndrome believing that it is impossible to treat or cure. Vets don’t help at all. They don’t care one way or another, unless you want to spend megabucks. The treatment is easy but it’s longterm. A weird cure comes to my mind not yet available for cats as far as I know in which poop from a health cat is injected into the gut of the cat with IBD which restores the gut flora balance and injects good bacteria into the gut. This has worked for people. The cause is said to be an allergic reaction in the gut.